Appealing to a huge audience of over 409,000, a Good Housekeeping magazine subscription is the ultimate essential for any 21st century homemaker. Discover delicious recipes for midweek meals or inspirational tips on revamping your wardrobe, growing your garden or creating the ideal home. Featuring the latest launches and collections in fashion, beauty and home as well as exclusive interviews with the stars you admire and experts in interior design, cookery and beauty, it’s a real lifestyle bible for the busy modern woman. Treat yourself to a Good Housekeeping magazine subscription for the modern woman’s monthly guide to the happiest healthiest you; looking good, living healthily and feeling great. 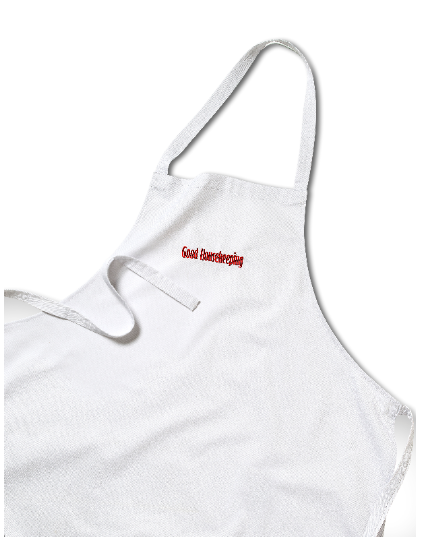 FREE GIFT - Good Housekeeping branded apron with your subscription! Good Housekeeping magazine originally formed part of the ‘Seven Sisters’ group of magazines; the original collection of quintessential women's magazines of the 19th and 20th centuries. Since its launch in 1885 by Clark W. Bryan, the Good Housekeeping dedication to customer satisfaction has grown from its pages to the Good Housekeeping Research Institute, which trials each product featured. The best receive the coveted Good Housekeeping seal of approval – a national symbol of tried, tested and trusted products. With a Good Housekeeping magazine subscription, you’ll find all the most modern fashion and beauty that works for you, as well as the latest gadgets – from tablets and straighteners to kitchen aids. How much is Good Housekeeping magazine? How often is Good Housekeeping magazine published? How can I buy Good Housekeeping magazine? How many issues of Good Housekeeping magazine are published each year? Who publishes Good Housekeeping magazine?